Love Life Consultations are one on one interactive sessions that are specifically focused on helping individuals become aware of what they have learned about love that is interfering with forming and sustaining a healthy love relationship, and what they can do about it. These consultations are 45 minutes long and can be conducted as a single session, as a series of several weekly sessions, or as an ongoing weekly individual consultation with the goal of achieving specific love life improvements/changes. Dr. Tom Jordan is a clinical psychologist, certified psychoanalyst, and psychological disability consultant. He is a graduate of New York University’s Postdoctoral Program in Psychotherapy and Psychoanalysis and on their teaching faculty. Dr. Jordan is the author of “Individuation in Contemporary Psychoanalysis,” a unique study of psychological maturation in adulthood, and “Healthy Love Relationship: Learn How,” an in depth exploration of the “essential” ingredients of a healthy love relationship. Dr. Jordan conducts individual psychotherapy, interpersonal psychoanalysis, and disability consultation in a group practice with his wife, Victoria Jordan, L.C.S.W. Dr. Jordan has been researching what he calls the field of “love-life psychology” for many years. He believes that many people do not have the information needed to ‘prepare for’ and ‘sustain’ love as an emotional experience in their lives. Dr. Jordan is an interactive energetic professional with a passionate interest in helping people learn how to psychologically ‘work on their love lives.” Apart from his commitment to his profession, clinical research, and writing, he is a devoted husband and father, an avid bicyclist, and lover of animals. You can contact Dr. Jordan directly at drtmjordan@gmail.com or 212.875.0154. Victoria is a clinical social worker, certified psychoanalyst, and a couple and family therapist. She is a graduate of the New York University School of Social Work and the Manhattan Institute for Psychoanalysis where she earned her certification in interpersonal psychoanalysis. 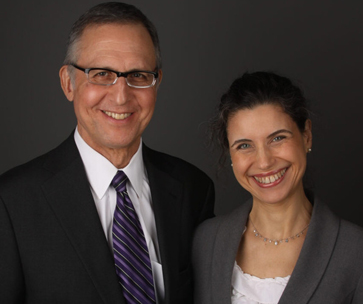 At present, Victoria conducts individual, couple, and family psychotherapy in group practice with her husband, Dr. Tom Jordan. She also has extensive experience treating patients in psychotherapy with short-term psychological disabilities. Her work treating couple and marital difficulties over the years is a resource of love-life knowledge and expertise. Apart from her clinical interests, Victoria is a devoted wife and mother, an enthusiastic lover of the arts and music, and a former vocalist. You can contact Victoria directly for information about her fees and availability at vjtherapy@aol.com or 212.875.9483.